We have another amazing comedian to showcase today for you fine folks! Lachlan Patterson is, amongst many other and far more important things, the first stand up comic I ever saw in an actual comedy club. And actually, the only comedy club I have ever been to. It was at the Funny Bone in St. Louis where I saw this hilarious man, and it was quite a different experience from other chances I have gotten to see live comedy (Theatres, USO shows, etc.). And I simply can not think of a better comic to see to bust my comedy club cherry, so to speak. Again, I simply can not say enough great things about this man, and chances are that if you are just checking in here, it is because you already know this to be true. So with that, please enjoy some amazing words from the brilliant and hilarious comedian, Mr. Lachlan Patterson! When did you first realize that you were born a hilarious human being, and you had an obligation to stand on stage and make people laugh as a way to make a living? When I was about 12 I was eating raisins at my buddy Andrew’s house. While we were eating the raisins I told him a story about how my Aunt had to go to the emergency room when she was a kid for getting raisins stuck up her nose. A little while later he was talking to his friend on the phone in front of me and I was bored so I put two of the raisins on the ends my nostrils. When he saw me do it he began laughing which caused me to also laugh which sent the raisins up into my nose. His laughter became so uncontrollable that he began to piss pants. Luckily I coughed the raisins out. I’ve been hooked on making people laugh ever since. I am always curious about comedy scenes in different parts of the world. I understand you worked pretty heavily out in the lovely city of Vancouver, Canada. Can you tell us a bit about what it was like working out of this city? What is the comedy scene like in such a place? Vancouver has a fantastic comedy scene. On any given night you can get up in front of a great audience somewhere in the City. The Comedians are some of the best I’ve ever seen anywhere. I really miss those days. In your lengthy experience as a stand up comedian, what have been some of the more delightful cities you have worked on that are not L.A. or NYC? What are some of the hidden gems that many people may not realize are amazing places for comedy? Man, thats a tough one because there are so many little cities all throughout the US that I love. Pretty much anywhere on the Pacific Northwest is fantastic but maybe I’m biased because I’m from there. I go to Fairbanks, Alaska every year and always have a blast. Salt Lake City is beautiful. Boston, Denver, San Francisco of course. While I am definitely no expert, really just a fan, in the world of stand up comedy, I find the idea of tournaments or contests in the world of comedy to be a bit strange and inaccurate at times. For example, I enjoyed hearing jokes on a show like Last Comic Standing, because there were great folks like yourself on the program doing great stuff. But, I never understood how you all could be judged against one another. Am I completely out of line in this train of thought? Do you have an opinion you would be willing to share with us about LCS, or the “judging” of comedy in any type of setting? It’s hard to judge stand up comedy because we all laugh at different things. Some people like a well crafted spin on some simple observation while others can laugh at how funny someones voice is. I love it. How does your perspective of performing change based on the audience type and size at any given show. For example, I saw you perform on a Thursday night, on Cinco De Mayo, at a mall on the outskirts of St. Louis about a year and half ago. The crowd was pretty sparse, although I’m sure it grew over the weekend, and I’ve watched clips of you performing to thousands. So how do the different atmospheres effect what you do? When the audience is small or perhaps, not really energized I know that I have to work a little harder to make the connection and give them a great show. What sort of adjustments do you feel you need to make? I have to be much more present and make sure that each and every person in the room is with me. What does the future hold for you? Creating new and funnier content for everyone. Anything you would like to plug to our readers? I’ve been having a lot of fun with my Instagram lately. 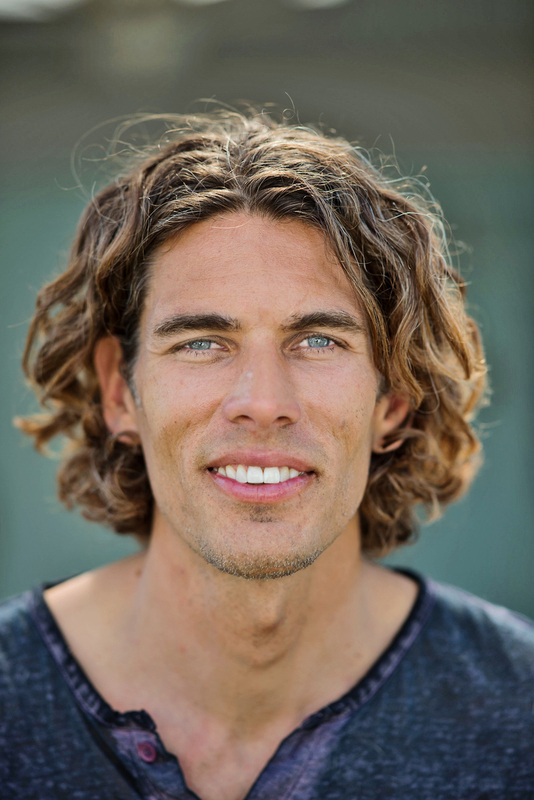 They can check me out @lachjaw . A warm cup of coffee. Thank you! Thank you! 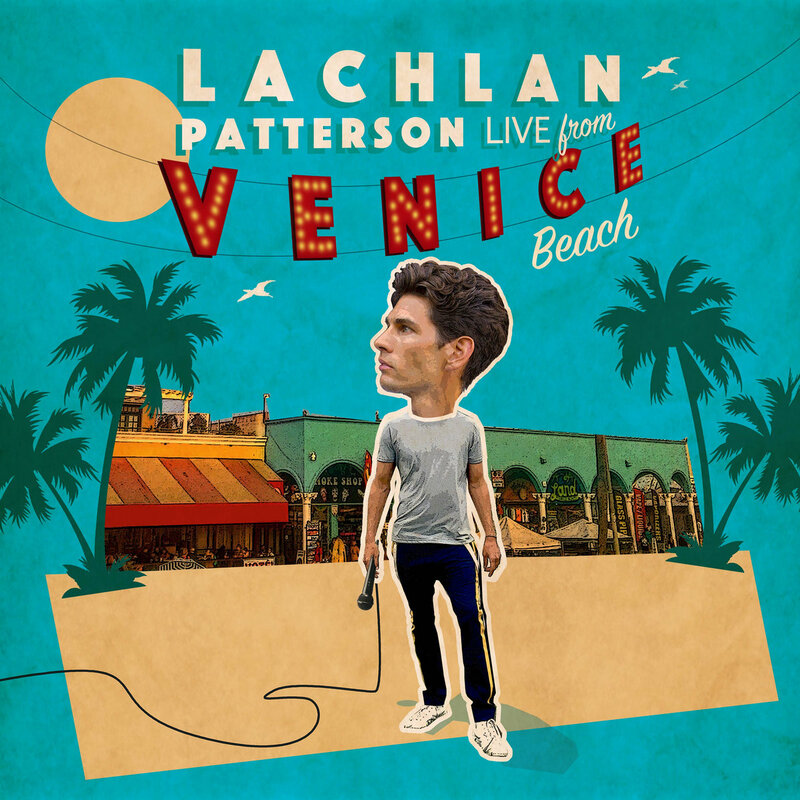 Check out Lachlan’s latest special, Live From Venice Beach, available on iTunes!